Old and New Testaments. 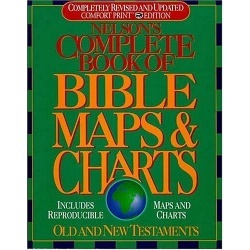 Nelson's Complete Book of Bible Maps and Charts is completely updated and packed full of visual aids that offer a deeper understanding of the Bible. By using the large, reproducible maps, charts, tables, and surveys, you can visualize the events, places, and people in the Old and New Testaments. Whether you teach a Sunday school class, lead a Bible study, or just want to get to know the Bible better, this resource is a great addition to your study library. softcover - 504 pages. Price includes standard shipping within the continental U.S. Please call for rates to other locations. By W.E. Vine, Merrill F. Unger and William White Jr. Enrich your Bible study with this complete expository keyed with Strong's numbers. 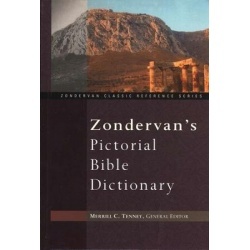 Meanings are given for more than 6000 Old and New Testament words with Topical Index. hardcover - 823 pages. Price includes standard shipping within the continental U.S. Please call for rates to other locations. By James Strong. 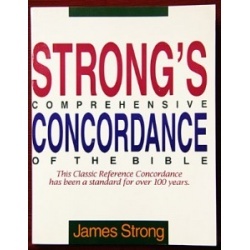 This classic reference concordance has been a standard for over 100 years. The Hebrew and Greek dictionary helps in understanding the original meaning for specific words. 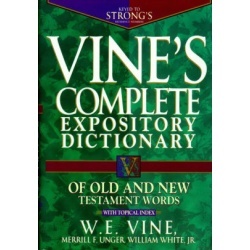 The concordance provides ease in locating specific Bible verses. More than 12,800 people, places, and topics in the Bible are authoritatively covered. softcover - 1422 pages. Price includes standard shipping within the continental U.S. Please call for rates to other locations. Discover fascinating, thorough, and enriching insights into the Bible. Over 800 full color pages and 700 color photographs and illustrations. Many maps and charts are included as well as 119 articles by leading international scholars. flexible cover - 816 pages. Price includes standard shipping within the continental U.S. Please call for rates to other locations. By Charles C. Ryrie. 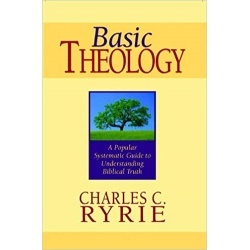 A basic handbook of theology written in plain English for every Christian. Includes a systematic overview of the Bible's major doctrines, a glossary of theological terms, and a list of key scripture passages for the study of theology. hardcover - 655 pages. Price includes standard shipping within the continental U.S. Please call for rates to other locations. By Norman L. Geisler. 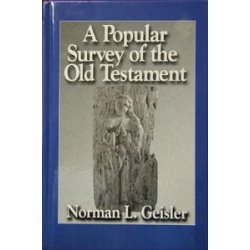 Well illustrated with photos, charts and maps and written in an easy, informal style, this survey will be enjoyed by all Christians who want to enrich their understanding of Old Testament people and events. This book is a solid, evangelical, and uniquely Christ-centered survey. hardcover - 299 pages. Price includes standard shipping within the continental U.S. Please call for rates to other locations. Merrill C. Tenney, General Editor. When you want to find out what lies behind a word, name, or concept in the Bible, this book gives you the answer. More than 5000 entries inform you on historical, geographical, chronological, and biographical aspects of the Bible. You'll also find articles on important theological subjects written by a team of 65 scholars and experts. Over 700 pictures lend visual impact and clarification on numerous topics. Nine pages of maps provide necessary background information to key biblical events and locations. hardcover - 925 pages. Price includes standard shipping within the continental U.S. Please call for rates to other locations. By John H. Hayes. This volume includes photographic illustrations, a full subject-oriented bibliography for further reading, and the Westminster maps of Bible lands. 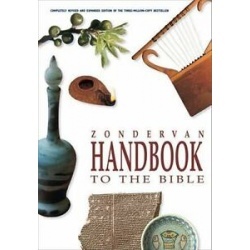 Book Description (from back cover) This profusely illustrated book introduces the reader to both the content of the Bible and to the life, faith, and history of ancient Israel, early Judaism, and early Christianity. 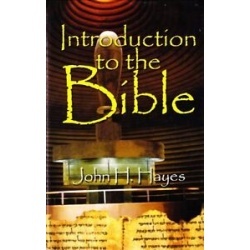 Part 1 offers an overall introduction to the study of the Bible, including the techniques of Bible criticism. Part 2 discusses the life, faith, and literature of ancient Israel from the earliest times to the end of Babylonian exile. Part 3 presents the history of the restored Jewish community from the days of the return through the early years of Roman rule, with a look at some apocryphal and apocalyptic literature. Part 4 concerns the life and literature of early Christianity from Jesus' life and ministry through Paul's contributions to early Christian theology and the church's ministry, the growing hostility between state and church, and the persecution of Christians, to the church's development of an orthodox faith and a more institutionalized structure. hardcover - 515 pages. Price includes standard shipping within the continental U.S. Please call for rates to other locations.